The moments when appraisers on the popular Antiques Roadshow television series announce the staggering auction value of an item are undoubtedly what keep viewers and heirloom holders coming back. Last year, appraisers and visitors to the Asheville Antiques Fair’s Heirloom Road Show were treated to an equally stunning discovery of fortune and history when a young man unassumingly presented a small bejeweled object to appraiser Bob Ruggiero for inspection. The 18-karat, solid gold cigarette lighter in the shape of a hippopotamus, with ruby ears and a diamond for a belly button, turned out to be a creation of the late Asheville native and internationally acclaimed jewelry designer David Webb. His pieces have been worn by Jackie Kennedy Onassis, Elizabeth Taylor, Andy Warhol, and Diane von Furstenburg, among other luminaries. To everyone’s surprise, the piece was estimated in value between $40,000 and $60,000, says Ruggiero, who is a former Sotheby’s appraiser. But the real payoff will come when antique lovers are reacquainted with the designer’s works at this year’s fair. The David Webb lecture is one in a series of guest talks. See the website for times and details. Webb was born in Asheville in 1925 and grew up in a boarding house run by his mother during The Great Depression. Early on, he began fashioning jewelry from native stones and the glass bottoms of Coca-Cola bottles. After graduating from Lee Edwards High School and spending a summer at Penland School of Crafts, he ventured to New York City at the age of 17 and opened his first jewelry shop at 21. Details of his life and designs will be shared during lectures and an exhibition at the fair, which is one of the oldest antiques shows in the Southeast, and has raised more than $500,000 for local charities and preservation projects over the years. 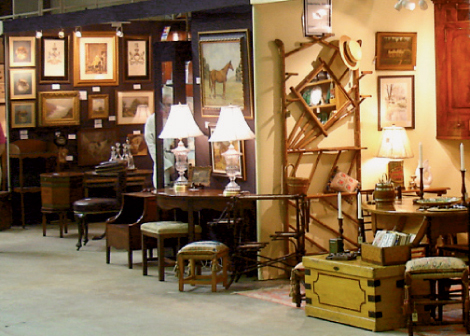 The event will feature American, English, and Continental pieces from more than 50 dealers from across the country. And if you want to participate in the fair’s Heirloom Road Show, “bring something in that you love, but have no idea what it is,” advises Ruggiero. “It’s a great chance to find out about the object.” At the very least you’ll walk away knowing the story about an item. At the best, you might find you’ve got a high-priced treasure.